A native of the Midland Counties of England, the Leicester Longwool, as it is known there, has been used to improve many other breeds of sheep. Their wool quality is in between the Lincoln and Romney in fibre, diameter and length; 32-38 micron and 180mm in length. Rams are used to cross with the Merino for the production of first cross ewes for prime lamb mothers, particularly in wetter and colder areas. The length, lustre and relative softness of their wool makes it very suitable for handcraft purposes. In England the wool is in great demand for heavy woolens in the clothing industry and the sheep are known for their adaptability to live and thrive under a wide variety of conditions and climate. 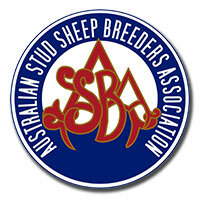 In 1826 they were one of the first pure breeds to be imported into Australia. English Leicester Association of Australia Inc.